They are tech savvy – They were born with a smart phone in their hands! They spend over 10 hours a day online according to a report by Goldman Sachs’ Global Investment Research. And, they have an 8-second attention span. As a result, they think about solving problems using technology in new and different ways. They are incredibly self-reliant, resourceful and pragmatic – They’ve been taught at an early age to figure things out, like learn intensive algebra by watching a video online and then collaborating in the classroom to solve problems. They are masters at searching the internet for answers. They have all the resources they need at their fingertips. They are entrepreneurial and won’t be tied down by institutional rules. Not only do they know how to research and collaborate to solve problems, they don’t think twice about creating and posting a “how-to” video for everyone to view, learn from and share. There’s a cause they feel passionate about? No problem. They’ll just create a non-profit for it. No surprise then that 55% of them envision running their own companies. At the end of the day, while we can’t stereotype an entire generation, it is important for people and talent leaders to make the effort to learn what makes this generation tick both collectively and individually. 1) Be intentional with your company culture. Know your employee demographics, just like you know your customers’, and build a culture to ensure they will thrive. 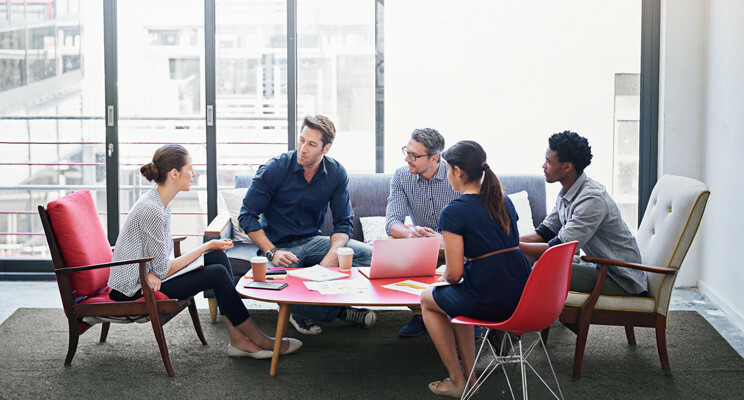 When companies are intentional with their culture they have it aligned with their business strategy, their people, the overall employee experience AND they communicate it effectively. Top performing companies don’t just happen by chance – and if they do – they aren’t able to sustain it. 2) Develop and foster a coaching mindset. Organizations will need to ensure that they are investing in recruiting and promoting the right leaders. They will also need to provide the appropriate development and nurturing of leaders to support employees. Leaders will be challenged to spend time getting to know the individuals’ strengths, values and skills. 3) Stay ahead of the curve and find new, innovative ways to foster learning and career growth. No surprise that technology will be key element. Productivity apps and tools are easily accessible from our smartphones to help be more efficient and results focused. Organizations must embrace the new technologies that are also transforming the way we deliver services to our employees. If you’d like to hear more, please tune into my podcast feature on the Talent is Transforming show hosted by Jennifer Ives and Top Employers’ Institute. 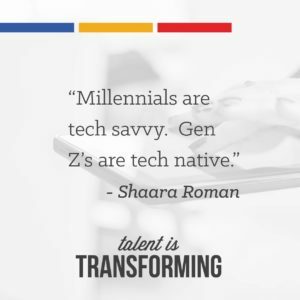 Let me know your thoughts and what your organization is doing to prepare for Gen Z’s. And, thanks for reading! This article was originally published via my LinkedIn. Check it out here!